Huawei's chief financial officer's arrest in Canada amidst the trade dispute between the US and China has led Chinese firms to urge its employees to boycott Apple in retaliation —and sanctioning those that don't comply. In an attempt to show solidarity towards the Chinese telecommunications giant, companies in China are reportedly attempting to encourage employees to buy products from Huawei. Most companies offering such schemes are apparently subsidizing between 10 or 20 percent of the cost of a Huawei smartphone, though some are covering the entire cost of the device. The support for Huawei doesn't stop at encouraging employees to buy from the firm, as Nikkei Asian Review reports more than 20 Chinese firms have announced on social media their intention to increase purchases of other Huawei products, including its business management system. Other companies are also stepping in with pro-Huawei offers of their own. In one example given, a brewer is providing employees and customers who present a receipt for a Huawei purchase with free alcohol worth up to 30 percent of the value of the acquisition. 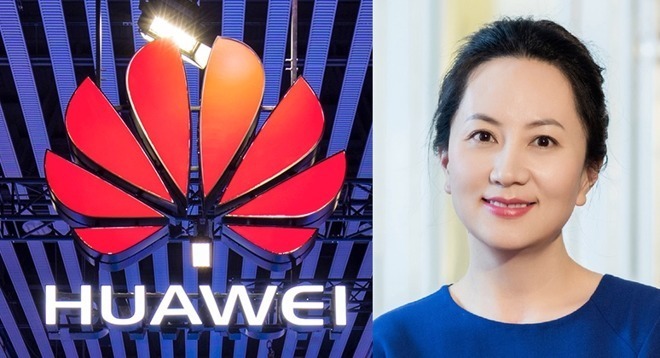 The outpouring of support follows the arrest of Huawei CFO Meng Wanzhou in Vancouver on December 1, apprehended during a layover between flights. Meng was arrested at the request of the U.S. government, under claims the company violated U.S. sanctions against Iran. The timing of the arrest is notable, as the U.S. government and China are in the middle of a trade dispute, caused in part through the Trump Administration's threats to apply tariffs on $200 billion of goods imported form China, with more tariffs also intended to be applied in the future. While initial tariffs did not apply to the iPhone, later tariffs are expected to impact the Apple smartphone's imports, and could potentially raise the cost per device by between $60 and $160. At the same time as trying to support Huawei, firms are also attempting to boycott Apple products. One Shenzhen machinery producer has threatened to confiscate Apple devices from employees, and potentially fire those who do not comply with orders to hand the hardware over, while another tech company in the region claims it will punish employees who buy Apple items. It is noted that Chinese consumers tend to boycott companies based in countries that have disagreements with the Chinese government. Examples given include stores owned by Japanese companies destroyed in 2012 during protests over the Senkaku Islands, and boycotts of South Korean companies including Hyundai and Lotte over the deployment of a U.S. Missile defense system in Seoul. The attempts at a boycott of Apple products is also seemingly in response to firms and governments in Western countries working against the interest of Chinese firms like Huawei. In August, a U.S. Defense bill blocked government agencies from buying devices from Huawei, ZTE, and other Chinese entities. In 2017, ZTE agreed to pay $892 million for violating U.S. Sanctions forbidding the sale of American technology to Iran and North Korea, following a year of restrictions placed on the company and its suppliers by the government. Other countries have taken similar steps to get rid of Huawei equipment, under the belief they could be used to damage infrastructure on behalf of the Chinese government. In December, the UK's BT advised it wold not use Huawei hardware in its rollout of a 5G mobile network, and on Monday confirmed it was in the process of removing Huawei equipment from a communications system being developed for use by the police and other emergency services.